Fall is a fantastic time to plan a trip to the Alabama Gulf Coast. If you are a fan of food, music and fun festivals, then these Orange Beach and Gulf Shores festivals for fall 2018 are for you. Browse our favorites and make a beeline to the beach for a fall vacation to remember. Get the best rates of the fall season on our specials page. With last year’s event raising more than $20,000 for the Make-A-Wish Foundation, this three-day Orange Beach event is sure to be even more successful and fun. 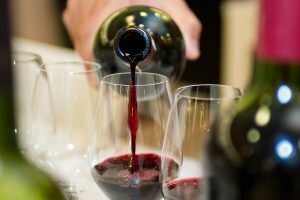 Enjoy cooking demonstrations, tastings, and sample more than 100 wine labels at this taste bud tempting event. Tickets start at $35 each. For tickets and more information, call (251) 224-1000. This birding and nature festival showcases bird and nature-watching spots all around Baldwin and Mobile counties. Trips and workshops are scheduled Wednesday through Saturday and include a variety of experiences including photography workshops, kayak tours and nature presentations. General admission is free—guided trips are not included. Contact (251) 990-5004 for more details. There is a reason the Annual National Shrimp Festival is one of the top Gulf Shores festivals! This family-friendly festival has been going strong for more than 40 years and attracting more than 300,000 people from all over. Food (did someone say shrimp? ), art and shopping, and more than 100 hours of entertainment are all featured at this Gulf Shores event. Admission is free. For more information, call (251) 968-7200. Craft Beer and cocktails, oysters from near and far, great live music…what’s not to love about this Gulf Shores festival? If you like them right out of the shell or prefer them a little more “done,” The Hangout is definitely your oyster. Celebrity chefs from all over, including the Food Network, attend this Gulf Shores event! Don’t miss their cooking demonstrations in between oyster tastings. General admission tickets start at $10; kids 12 and under are free; VIP tickets start at $150. Visit the Hangout Cook-Off website for more details. More than 1,500 chefs and home cooks compete for big prize money in this event touted as America’s most-watched food sport event. You’ll find competitions such as the Steakout, BBQ, Chili Fest, and more. This tasty Orange Beach event is one that foodies will not want to miss. Admission is $10; kids 12 and under are free; VIP tickets are also available. Contact (615) 297-6886 for more information. This Gulf Shores festival runs across multiple venues and features nearly 200 songwriters from around the world. The festival and has been named one of the top 20 events in the Southeast. 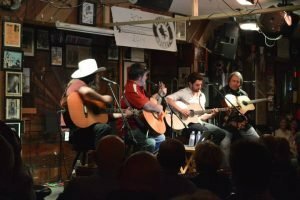 Listeners are treated to an intimate “behind the music” experience from amazing songwriters, many are also Grammy winners! Price of admission varies by venue. For more details, call (850) 492-7664. With so many Gulf Shores events to choose from, it’s time to start planning and packing. Book your Gulf Shores AL vacation rental now and take advantage of the lowest rates this fall by browsing our specials page.